Discussion in 'iPhone and iPad Games' started by stevepyoung, Mar 23, 2016. Logic Puzzle fans, meet your nemesis! 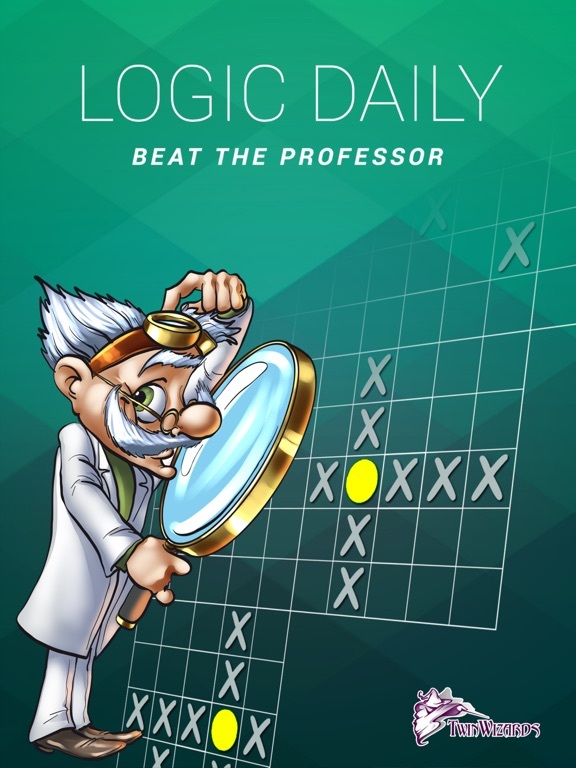 Created by a team of puzzlers who have been completing these grid-based logic problems for decades, the Logic Professor challenges you to work your way through level after level of his brain-teasers. 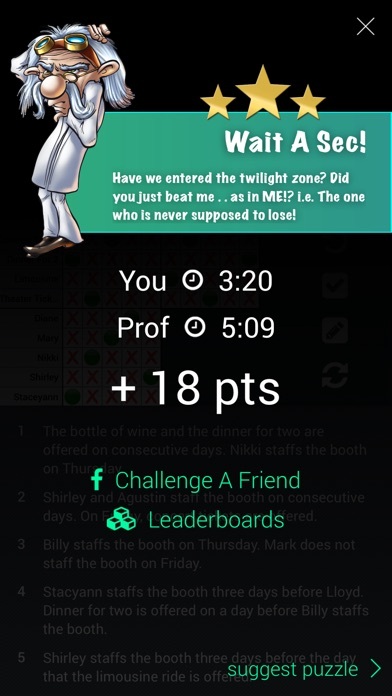 Can you beat his time for each logic puzzle and win bragging rights, or will you be the recipient of another of his intellectual wisecracks? 5 STARS from AmyVitalo. Love this. So addicted been waiting for a decent logic app for a long time A+++++ 5 STARS from Claudiama. Best Logic Puzzle App. This is the best logic grid puzzle app in the App Store for the variety and complexity of their puzzles. 5 STARS from JaneE41. 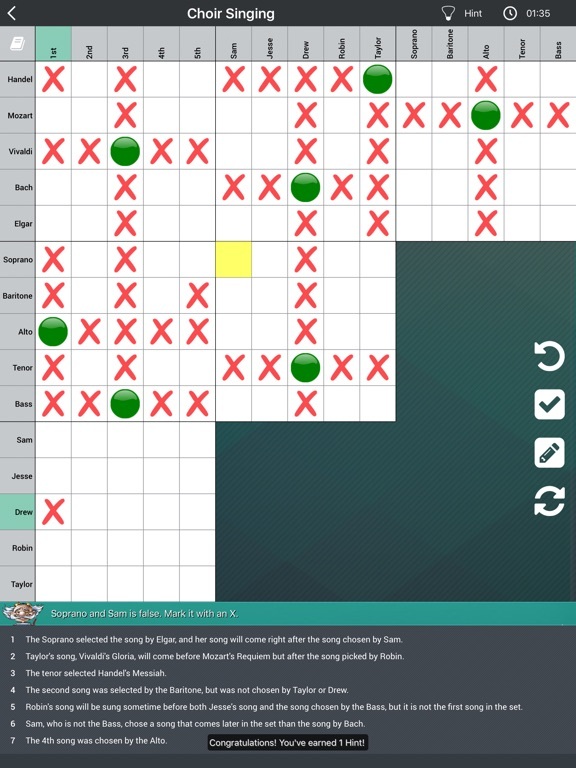 Great logic puzzle app! I love logic problems and this app really delivers. Great game play, lots of difficulty levels and the Professor character is very entertaining - highy recommended! 5 STARS from KahiaL Way more puzzles than other apps! 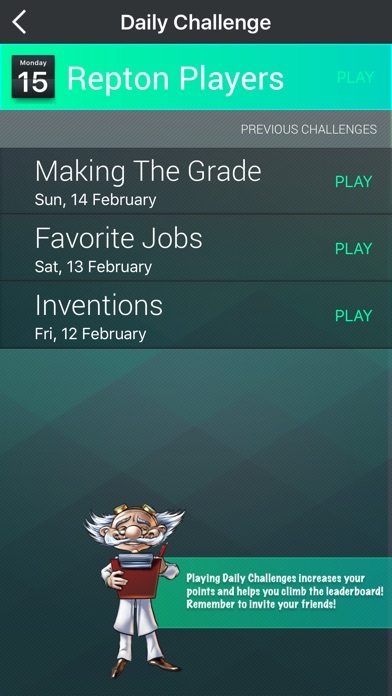 This game has way more puzzles than any of the other logic apps I've tried. 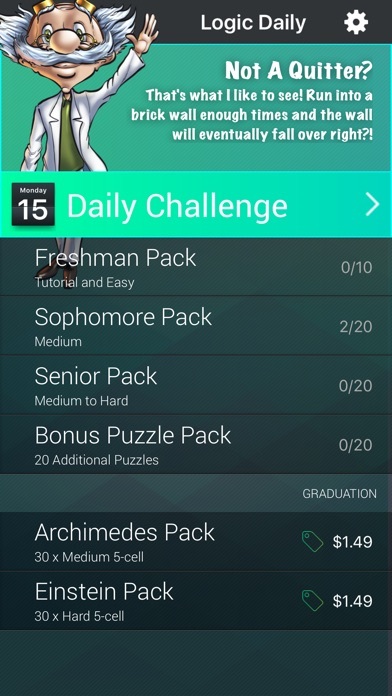 Love that it has a daily puzzle too. 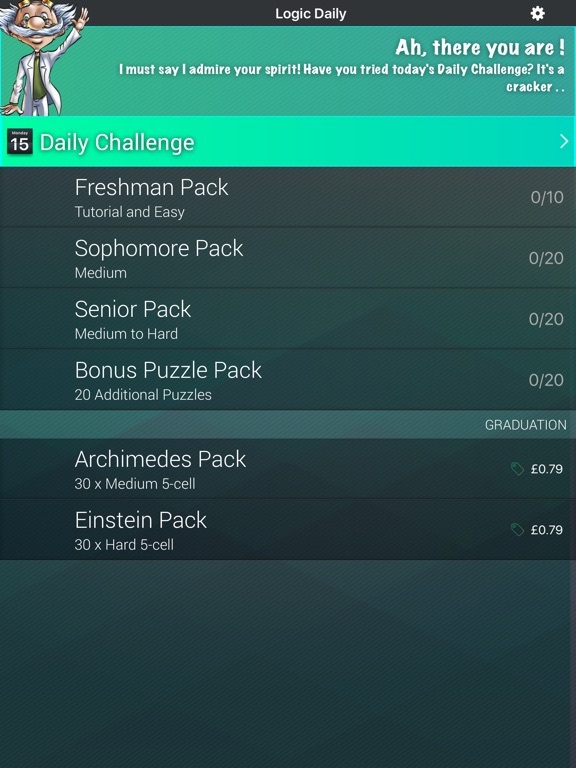 The game starts you off with more than a hundred free logic puzzles, with new puzzles added every day as part of our Daily Challenge feature. Enjoy a new, free brain-teasing logic problem every day direct to your iPhone or iPad or build your collection with one of our puzzle pack add-ons. 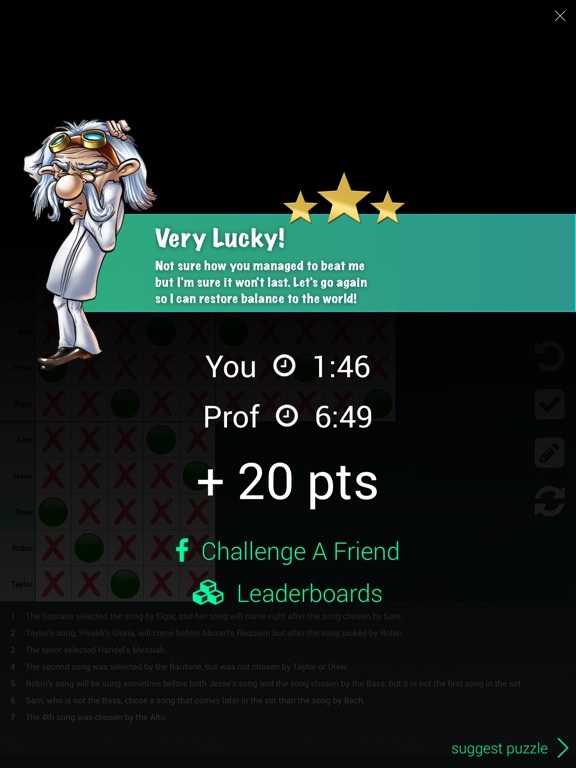 The Professor has even prepared a load of logical achievements for you to master - for example, can you beat him twice in a row, or how about five times? He thinks it is unlikely... The gameplay is simple but addictive and Logic Puzzle Daily boasts all the latest logic puzzle features, including Auto X, Hints, Error Checker and Multi-Level Undo. 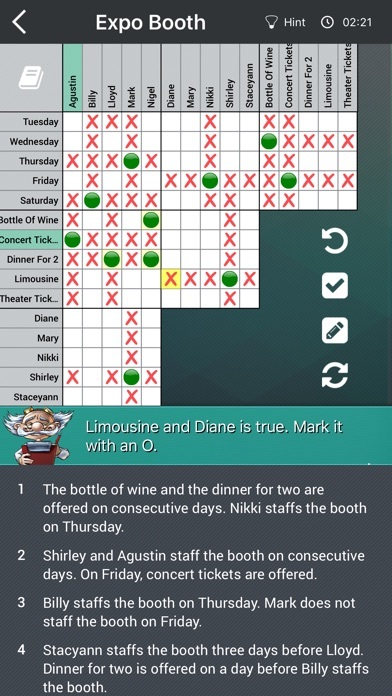 For the harder logic puzzles you can use the Notes section to help you work through the clues and solve the puzzle. Logic Puzzle fans, meet your nemesis! Created by a man who has been completing these grid-based logic puzzles for decades, the Logic Professor challenges you to work your way through level after level of his brain-teasers.